Panera Bread in the Frandor Shopping Center. I know. I know. Another chain. J and I had made plans earlier in the week to only eat out once. Tomorrow. Something came up and J wanted to run to Frandor. Neither of us had eaten lunch yet and we wouldn’t get back home in time to eat before she had to be at work, so we just ate while we were out. J has always been a big fan of Panera Bread. Me, not so much. When we lived in Peoria, J worked long hours on Saturday and would usually stop at a Panera for at least one meal. Before we started dating, she almost lived there. The Panera Bread in Frandor has a physical address on North Clippert, but it’s actually on the interior of the shopping center. It sits on a corner connected to the same building that houses Kroger. It’s much smaller than most of the other Panera’s I’ve been in. From the beginning, I felt a little crowded. 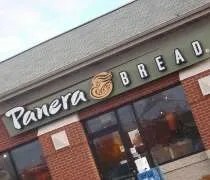 Usually, Panera has separate areas for the cafe and bakery. I didn’t see that here. I’ve been told all three Lansing area Panera Bread will be participating in this and the funds they raise will go to the Mid-Michigan Chapter of the American Red Cross…..
Richmond Heights, MO, January 22, 2009 – Something big is brewing at Panera Bread and everyone’s invited. On Wednesday, January 28, Panera Bread bakery-cafes throughout the country are inviting customers to celebrate Panera’s new breakfast experience by sharing free cups of its new Light and Dark Roast coffees, as well as samples of its three grilled breakfast sandwiches and new Strawberry Granola Parfait. 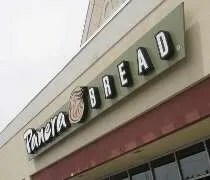 To Share the Warmth with the local community, Panera Bread will also be inviting customers to donate a dollar on January 28 to help support its Operation Dough-Nation Community BreadboxTM program. Participating bakery-cafes will join the celebration by matching customer donations made on that day. Donations to Panera’s Community Breadboxes support local programs that address community needs. 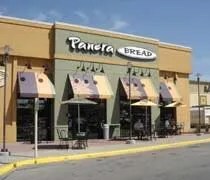 Through its Operation Dough-Nation effort, Panera Bread bakery-cafes collectively donated a retail value of more than $40 million worth of bread and baked goods in 2007 to charitable organizations helping to address the need for food distribution in its local communities. Panera Bread has been working for more than two years to perfect its two unique new coffee blends — a Light Roast and a Dark Roast. The Light Roast Coffee is a new blend of some of the finest South and Central American beans, roasted lighter for a smooth, classic taste. The Dark Roast Coffee is a new blend of top Costa Rican beans, created for customers who prefer a robust, balanced, full-bodied coffee. All Panera Bread bakery-cafes will continue to carry its current Hazelnut and Decaffeinated coffee blends, as well as a selection of specialty Espresso and Espresso-based drinks expertly prepared by trained baristas. I used to be scared of Panera Bread. I always assumed there is nothing there I would like because they didn’t make greasy hamburgers and fries. My girlfriend finally got me there one day while we were doing some extended work in Decatur, IL. We had exhausted all of the downtown restaurant options and another lady we were working with had mentioned she was going to Panera Bread. I decided not to argue and went along for the ride. To my surprise, I actually found quite a bit there that sounded and looked good. Panera has always been a standby for J. She eats there pretty much every time she has to work in Kalamazoo or anytime she has to find someplace to eat and I’m not with her. Tags: Bakery, Cafe, Chain, Lansing, Mall, Panera Bread, Restaurant, Reviews, St. Louis Bread Co.